« Day 439 In Beijing: BAKLAVA!!! 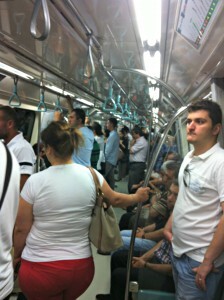 Day 440 In Beijing: Istanbul Subway. Beijing has a massive subway system. A lot of it has been built in the past 10 years because the population has exploded. Beijing has over 25,000,000 people living in it. The difference, when riding the subway, is mind blowing. In Beijing, subways are almost always crowded, busy and full of people just staring at their phones or tablets. There is so little communication and connection that it seems almost unreal. In Istanbul, the subways, even during rush hour, were more calm, less filled with people and people were talking, connecting and it seemed much more like the culture I’m used to being in. It felt much more normal and I found myself smiling a lot more and looking at people. Not only that, they looked back at me and smiled. 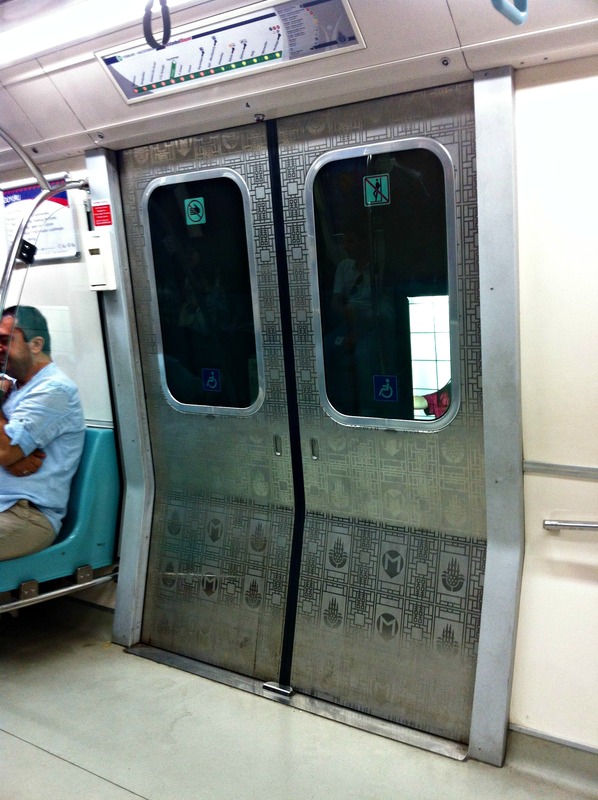 This does happen, sometimes, on the Beijing subways, but not that often. 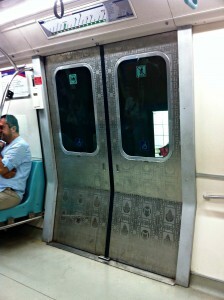 The cool designs on the subway doors. Again, everyone is so distracted by their mobile phones or tablets that they don’t see other people. Which also causes them to run into you when you walk into, or out of, the subway. I have lived in Silicon Valley and lived through the tech boom. I’ve never seen people that stare at their phones as much as here. Believe me, the intoxication of the techie phone addiction in the SF/Bay Area is bad enough. Here it is epidemic. 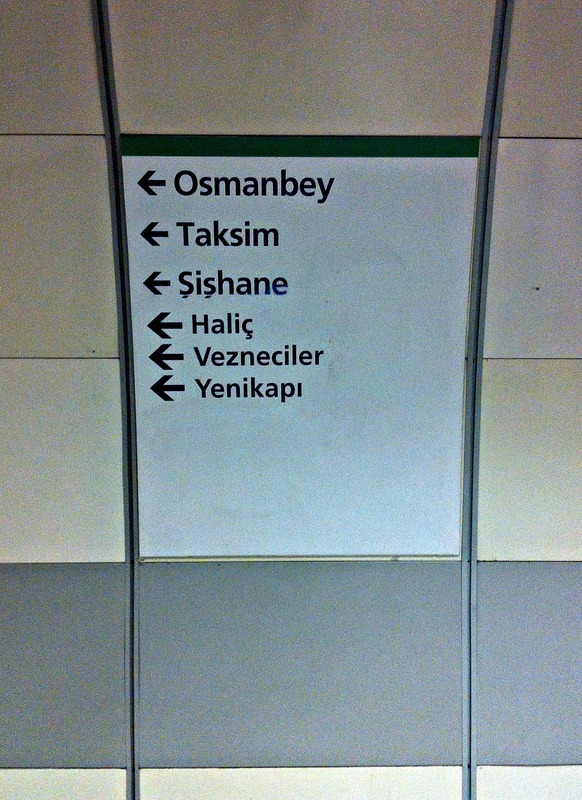 Istanbul, on the other hand, has just really invested in a massive subway system. It has grown, and continues to grow, to fit the needs of this growing city. The subway sign for one of our exits. It, like Beijing’s subway, is very clean, very punctual and very fast. I love that about both of them. 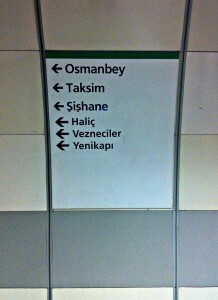 Istanbul’s first modern subway started in 1989. It seems to have taken a bit of time to get going but now if flying along. I believe they have added about 100 kms of subway lines in the last 5 years alone and plan to have a total of 244 kms within 3 more years. It will reach well into the suburbs and hopefully reduce some of the traffic congestion. We truly enjoyed our rides on the subway and were grateful to have space, quiet and people that smiled and laughed with us, while we were riding it.